iHeart Media was originally founded in San Antonio, Texas under the name Clear Channel Communications. The company was founded by Lowry Mays and B.J. McCombs in 1972. In 2008, the company became private by a leveraged buyout through Bain Capital, LLC and Thomas H. Lee Partners. iHeartMedia has the widest reach in America for any radio or television outlet with an audience of over a quarter of a billion listeners each month. The company currently covers 150 of the U.S. markets with 858 broadcast radio stations. 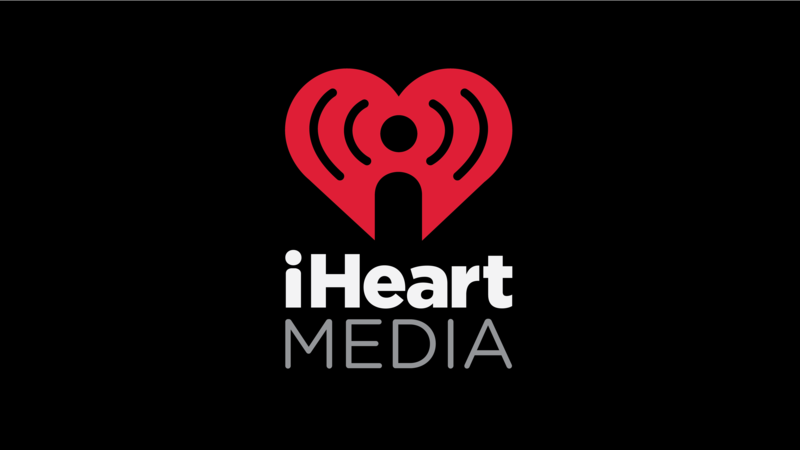 iHeartMedia delivers a variety of content including music, talk shows, news, and sports through broadcast stations, satellite, online, via smartphones and via live shows. iHeartRadio currently has 92 million registered users with a year-over-year growth of 22% with an increase of 8% in total listening hours. As of September 30th, cumulative upgrades and downloads have reached a new record of 1.1 billion . For the second quarter of 2016, iHeartMedia’s loss widened to $278.89 million due to billboard sales in Turkey that expanded the ongoing debt $56.6 million. The loss was more than five times the amount of 2015’s second quarter loss of $54.66 million . Even though there was a large loss in the second quarter, the company is still generating revenue in the third quarter of 2016 for a total of $857.1 million. Due to a growth in network business and the Presidential Election, digital advertising and broadcast radio primarily drove the growth in revenue of $10.2 million (1.2%) from the previous year’s third quarter revenue . The increase in revenue allows iHeart to stay on top of their current debt of $20.78 billion as of June 30th, 2016. The large debt is mainly due to a buyout in 2008 by two Boston private-equity firms, allowing them to gain 70% of the iHeartMedia Company. Debtwire senior credit analyst, Seth Crystall, explains that iHeart is a “powerful brand” and will continue to increase revenue to make up from their current losses by the transformation of their listeners to their mobile app . Singer Taylor Swift singing at the iHeartRadio Music Awards. The iHeart Music Festival Tour is iHeartRadio’s biggest live musical event, generating a large income for the company, with a portion of the ticket profits going towards the Ryan Seacrest Foundation. iHeartMedia’s President of National Programming Group, Tom Poleman, says, “Fans wait all year to hear who will be playing this tour and we’re thrilled to announce an impressive lineup” . The concerts are held in major cities throughout the country by the iHeartRadio stations in those areas. The Jingle Ball Tour is iHeartRadio’s biggest musical event, generating a large income for the company. The tour is sponsored by Capital One, which allows card holders to gain early access to tickets before going to the general public . Bon Jovi Photographed performing at an iHeartRadio live concert. The live iHeart Radio concerts are a mutually beneficially event for both the artists involved and iHeartMedia. For example, most recently the artist The Weekend celebrated the release of his new album Starboy in Toronto by headlining the iHeartRadio Canada Jingle Ball. Thirty minutes of his live set was broadcasted on the iHeartRadio App, along with 112 of iHeart Media’s radio stations including KISS in Los Angeles and Z100 in New York . The iHeartRadio Jingle Ball in Toronto also included performances by major artists such as Niall Horan, The Chainsmokers, and Alessia Cara. iHeartRadio celebrated One Direction’s 2013 album Midnight Memories with a special release party. Recently, iHeartRadio expanded into Canada with the collaboration of North America’s fastest growing digital audio service, Bell Media . Canadians now have instant access to stations and to free streaming channels via iOS, Android apps, and at iHeartRadio.ca. iHeartRadio Canada uses content from Bell Media, which has over 105 licensed radio stations and 100 streaming channels . With the expansion into Canada, iHeartRadio’s Jingle Ball will now be present in Toronto. 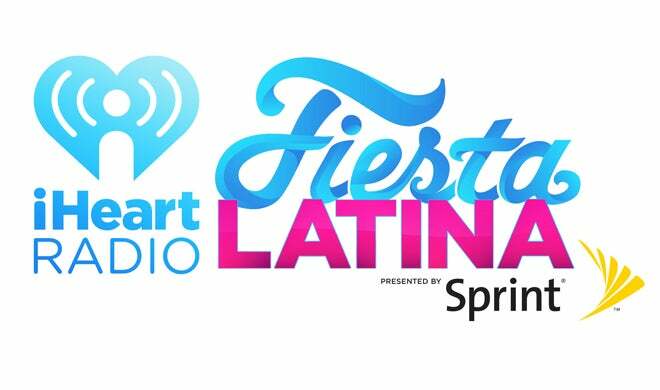 iHeartMedia’s Fiesta Latina is a part of the company’s Hispanic initiative. This part quarter iHeart partnered with Hispanic radio legend Enrique Santos, to create a new Hispanic initiative to develop new programming content for iHeartMedia across their various platforms. This new initiative recognizes the increasing size of the the U.S. Hispanic community that are both English and Spanish speakers, as well as utilizes Santos’ popular reputation within the Latino community . iHeart partnered with Telemundo to air the program. Building off of this new initiative, just this past November iHeart celebrated the best in Latin Music at the iHeartRadio Fiesta Latina. They partnered with Telemundo to air the exclusive TV special and streamed the event live on Telemundo.com. Telemundo is an American-Spanish language television network owned by Comcast through NBCUniversal . The event broadcasted live on iHeartMedia Spanish-Pop, Tropical, regional Mexican and Spanish Adult Hit radio stations all across the country . 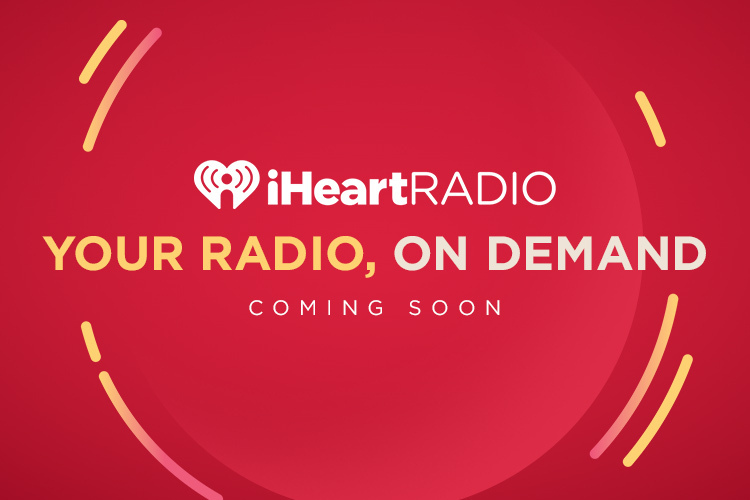 This coming January, iHeartMedia will be launching a new On-Demand music streaming service, that will put them amongst competition of services like Spotify and Apple Music. The iHeartRadio All Access service will offer its subscribers unlimited on-demand listing to over 30 million songs. They will also offer a cheaper option, iHeartRadio Plus, which will gives its subscribers the ability to instantly replay songs they heard on iHeartRadio stations, through the app. According to iHeartRadio,the company has not yet decided how to price the two new services. However, $9.99 a month has become an industry standard for full on-demand subscriptions services. iHeartMedia earns most of its revenue through on-air advertisements, which they still will continue to air, despite the new revenue from the subscription service. iHeart will be unveiling 2 different On-Demand services. iHeartRadio Plus and iHeartRadio All Access. iHeartMedia is not the only major radio based company making the switch, Pandora is creating its own on-demand based product estimated to cost $4.99 a month in the near future . According to iHeart, iHeart All Access will “include a full on demand music collection experience – but one still tied directly to radio.” the company said. When listeners hear a song on the radio that they like, for the first time ever they will be able to replay that song or even save it directly to their playlist. iHeart Radio’s On-Demand service is expected to launch in January 2017. Bliss, Karen. “The Weeknd’s Album Release Day Live Set Broadcast on IHeartRadio.”Billboard. Billboard Music, 26 Nov. 2016. Web. 27 Nov. 2016. Dupuis, Renee. “IHeartRadio Now Available in Canada: Free Streaming Service Brings Canadians Biggest and Best Music Experience.” Bell Media. Bell Media Canada, 6 Oct. 2016. Web. 29 Nov. 2016. Hendricks, David. “IHeartMedia’s Second-quarter Loss Widens to $278.9 Million.” San Antonio Express-News. San Antonio Express-News, 4 Aug. 2016. Web. 29 Nov. 2016. IHeartMedia, Inc. IHEARTMEDIA, INC. REPORTS RESULTS FOR THIRD QUARTER 2016. Rep. IHeartMedia, INC., 9 Nov. 2016. Web. Karp, Hannah. “IHeartMedia to Launch On-Demand Music Service.” The Wall Street Journal. Dow Jones & Company, 23 Sept. 2016. Web. 15 Oct. 2016. Lovelace, Berkeley, Jr. “Pandora CEO on On-demand Services: We’re in the Perfect Position.” CNBC. CNBC, 14 Sept. 2016. Web. 29 Nov. 2016. Ross, Kevin. “IHeartMedia, Inc. Reports Financial Results for the Third Quarter Ended September 30, 2016.” Radio Facts. N.p., 10 Nov. 2016. Web. 29 Nov. 2016. Stine, Randy. “IHeartMedia Shows Revenue Growth in Q3.” Radio World. Radio World, 10 Nov. 2016. Web. 29 Nov. 2016. Telemundo. “IHeartRadio Fiesta Latina 2016.” Telemundo. N.p., n.d. Web. 29 Nov. 2016. Vitucci, Danielle. “IHeartMedia Rings in the Holiday Season with the Return of Its Iconic 2016 National “iHeartRadio Jingle Ball Tour Presented by Capital One”.” IHeartMedia Rings in the Holiday Season with the Return of Its Iconic 2016 National “iHeartRadio Jingle Ball Tour Presented by Capital One” | Business Wire. BusinessWire, 11 Oct. 2016. Web. 29 Nov. 2016. One Direction Last First Kiss IHeartRadio Album Release Party. Perf. One Direction. Youtube, 3 Jan. 2014. Web. 20 Nov. 2016. COMCAST is venturing in a new market as it is in talks with European broadcaster, Euronews, to buy a stake in the company. The stake is estimated to be between 15 to 30% of the company, and they aim to find a deal by the end of this year. The branch NBC News is looking to strengthen Euronews’ offerings, but keeping it as a collaborative partnership. This network airs in more than 150 countries and more than ten languages, and it will allow a new visibility for NBC Universal. Naguib Sawiris, an Egyptian billionaire, holds a 53% stake, and will remain the controlling shareholder. At the box office, COMCAST’s biggest success was The Secret Life of Pets, which reached third place in movies with highest total gross of all time from Universal Pictures. In 2016, the movie that reached the highest position, besides The Secret Life of Pets, was Jason Bourne, which reached the 31st position of all-time. According to Box Office Mojo, the film had a production budget of $75 million, the film made a total gross of $104 million in its first weekend, and it ranked first place for its first two weekends . It was released in more than 4,000 theaters, which shows that it was expected to be a hit. The movie has a total domestic gross of more than $350 million, and more than $500 million in the foreign market adding up to an amount very close to the billion mark. After 21 weekends from its release, The Secret Life of Pets is still in more than a hundred theaters, and making an average of $1,000 per screen. Deadline reported that due to the success in the box office, Universal and Illumination, the production company, set the release date for a sequel in July 13, 2018. Merchandising has also contributed to profits. Comcast has sold Secret Life of Pets themed toys in stores and online. Comcast’s deals with the Harry Potter franchise spell success for the conglomerate going forward. Comcast subsidiary Universal Studios holds theme park rights to Harry Potter, and maintains high profit from Harry Potter World in Florida. The newly released motion picture, Fantastic Beasts and Where to Find Them, add to the franchise. Comcast’s screening rights to the Harry Potter films is also beneficial. NBC has acquired the rights to screen all eight Harry Potter films and the coming movies of the Fantastic Beasts series. Streaming access includes the cable networks like USA and Syfy. Such rights will benefit NBC content as a whole as it brings in viewers. Movie poster for Warner Brother’s Fantastic Beasts and Where to Find Them. NBC has streaming rights beginning July 2018. Comcast received some bad press last month when forced to pay a $2.3 million civil penalty to the Federal Communications Commission (FCC). The dollar amount marks the largest FCC fine ever held to a cable operator. Comcast followed through as they were persecuted for charging customers for services and equipment they didn’t order. Over 1,000 customers complained for the charges on the premium channels, DVRs, etc. that they didn’t order. Some customers reported expressly telling Comcast they didn’t want certain services and were still charged. Travis LeBlanc, the chief of the FCC Enforcement Bureau, released a statement saying “”It is basic that a cable bill should include charges only for services and equipment ordered by the customer — nothing more and nothing less.”  Comcast worked to remedy the problem. The Comcast Corporation bought the remaining 24% stake in the Comcast Spectacor company, that was owned by Philadelphia Flyers creator, Ed Snider. Ed Snider and his family owned the last 24% of Comcast Spectacor, the overseeing company of the Philadelphia Flyers and the arena in which they play, The Wells Fargo Center, among a few other businesses. This purchase will grant the Comcast Corporation 100% ownership of Comcast Spectacor. The deal was put into motion after Snider died from a terminal illness earlier this year. CBS Corporation originated in 1927 as the United Independent Broadcasters. From 1928 to 1997 the company transitioned from its original name to Columbia Broadcasting System, Inc. and then to CBS Inc. It was not until the mass media company was purchased for $5.4 billion by Westinghouse Electric Corporation that it evolved into CBS Corp. in 1997. Viacom Inc. acquired CBS for $45 billion in 1999. Six years later, the companies split but both remained controlled by Sumner Redstone through National Amusements. Today, CBS Corp. remains as a major media conglomerate, operating within the entertainment industry as a leader in cable, publishing, radio, film, and interactive media. In Q3 2016, CBS Corp. reported its highest quarterly diluted EPS in the history of the company. Third quarter revenue rose 4% to $3.4 billion, led by a 32% growth in retransmission fees, revenues from CBS Television, and growth of their digital platforms. This continued growth in revenue has allowed for a 6% increase in operating income, now standing at $798 million, with some offset from increased spending in programming. National ad revenue fell 3%, but this was due to preemptions from the Democratic and Republican conventions, the first Presidential Debate, and competition from the Olympics. Revenues from entertainment rose by 1% to $1.95 billion, while revenues from cable networks were up by 14% to $598 million. Apart from growing retransmission and licensing fees revenue, CBS All-Access and Showtime’s over the top service, now draw in 2 million subscribers collectively. CBS’ decision to stream Star Trek: Discovery, as well as 3 yet unnamed shows, exclusively on All-Access, will help them reach their goal of 4 million subscribers by 2020. On 4 July, 2016, CBS announced that it would be separating its radio business. An IPO will be held in early 2017, with full separation by 2018. After CBS Radio’s 2015 restructuring, total costs amounted to $36.8 million, with $18.9 million in severance payments and $4.4 million in cancelled contracts; in preparation of the departure, CBS Radio has borrowed $1.46 billion through a $1.09 billion senior secured loan due 2023. CBS’s primary television network is one of the most watched in the country, one filled with robust live content. These marquee broadcasts of both major parties’ conventions, the first Presidential Debate, and broadcasts of the 2016 Olympics attract massive audiences despite advertising revenue losses caused by 10-hours of primetime preemptions . The company had strong ratings in each of the presidential debates, highlighted by the 10.4-rating/15% share they achieved during the second debate. 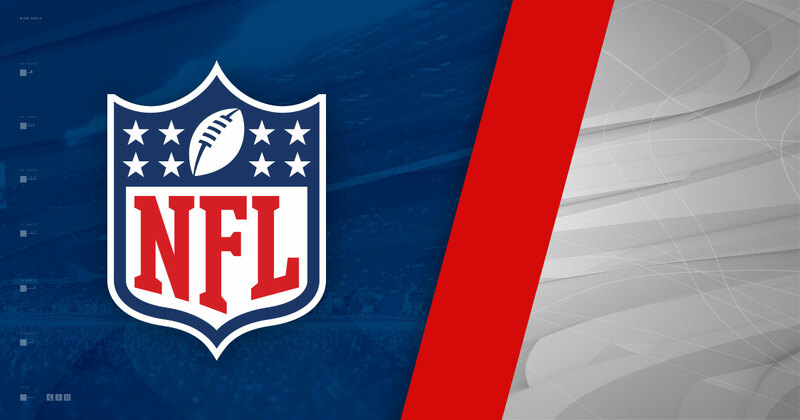 The company has also benefitted from broadcasting NFL football from the AFC conference as well as five Thursday Night Football games per their recent agreement with NBC and the NFL . The network is also successful due to its strong history of original content, both new and old. The Big Bang Theory has consistently ranked as a top scripted series this fall, posting strong numbers as a live program (3.1 rating) and syndicated series (5.4 rating). The show was previously ranked as the most viewed on live television and consistently draws over 14 million live viewers. Currently there are talks to create a spin-off titled Sheldon, produced by the same creators of The Big Bang Theory . CBS’s Bull is TV’s most watched new series based on live and delayed viewing. The drama drew an average of 17.6 million viewers over the shows first six episodes, and is bolstered by strategic scheduling of the program behind the ever-popular NCIS. Kevin Can Wait is TV’s #1 new comedy, drawing an audience average of 11.8 million live and online through week six, and most recently scoring within the top five for new series in total viewers and viewership within the 18-49 year old demographic. With full ownership of all these shows, both old and new, the organization has positioned itself to monetize additional content across all CBS platforms for years to come, as they did so successfully this past year on their over the top services. In the fall of 2014, CBS Corp. launched “CBS All Access,” a digital subscription package allowing users access to thousands of episodes and full seasons of past and current CBS programming, as well as live stream content, for $5.99 a month. This offer includes current primetime programs made available immediately after first air. This past August 2016, CBS Corp. announced an addition to that existing offer, providing viewers a $9.99-per-month option with no advertisements . Although the live-stream content will continue airing commercials during the broadcast, the ability to stream real-time on any device is a continuation of the company’s priority to provide customers with mass content on wherever platform preferred . While other companies are similarly offering packaging deals, CBS Corp. is more hesitant than other major conglomerates to combine their programs with those offers. AT&T’s DirecTV Now—an over-the-top service offering over 100 channels for $35 per month—will fail to include features of CBS content by launch (November 30th, 2016) due to unsettled financial negotiations. If an agreement remains unachieved, DirecTV Now will become a direct competitor for CBS in providing TV content. And so the potential success of the AT&T owned service without CBS programming could directly threaten CBS’s influence in the industry. However, a DirecTV Now failure to succeed would increase CBS corp.’s leverage. Although CBS Corp. and Viacom (which both remain controlled by the Redstone family through National Amusements) split in 2006, the two separate companies have been collaborating with financial advisors to review a possible re-merger . While the deal would force CBS to inherit Viacom’s debt caused by a decrease in affiliate revenue and yearly net income, CBS Corp. CEO Leslie Moonves recognizes the benefits of securing Viacom owned Paramount Pictures. The potential merger would not only grant CBS possession of MTV, Nickelodeon, and Comedy Central, but also the rights to a studio to create original content to be distributed . If the two companies agree to merge, the partnership will allow heavy leverage for negotiating with cable distributors. In the spring of 2016, CBS Corp. released a memo regarding the pursuit of CBS Radio transitioning to a standalone company. Shortly after, CBS filed its IPO with the SEC. This past fall, CBS announced a detailed financing plan for the radio business to work as an independent, publicly traded company. Under the name “CBS Radio Inc.,” the division “will eliminate intellectual property licensing agreements with CBS so that it can keep using the “CBS” mark in call letters.” The split will provide CBS Radio an industry advantage because of the current value of the profitable local stations leading in news and sports radio, while additionally offering professional growth for the radio employees. However, the separation will allow CBS Corp. the freedom to utilize operating segments in competition with CBS Radio, which will increase appeal to investors. This is a risk for CBS Radio, which generates much smaller financial resources than their parent company. CBS Corporation Logo. Digital image. Https://www.nyse.com/publicdocs/nyse/events/images/CBS_web_1920.png. N.p., n.d. Web. 29 Nov. 2016. “CBS CORPORATION ANNOUNCES PROPOSED $1.46 BILLION DEBT FINANCING BY CBS RADIO INC. IN CONNECTION WITH THE SEPARATION OF THE CBS RADIO BUSINESS.” CBS Corporation. N.p., n.d. Web. 29 Nov. 2016. Corporation, CBS. “CBS Corporation Reports Third Quarter 2016 Results.” PR Newswire: Press Release Distribution, Targeting, Monitoring and Marketing. PR Newswire Association LLC, 3 Nov. 2016. Web. 29 Nov. 2016. “Where Star Trek: Discovery Will Air – CINEMABLEND.” CINEMABLEND. N.p., 2016. Web. 30 Nov. 2016. Porch, Scott. “CBS Digital Chief Says CBS All Access Targeting to Hit 4 Million Subscribers by 2020.” Decider | Where To Stream Movies &Amp; Shows on Netflix, Hulu, Amazon Instant, HBO Go, 16 Nov. 2016, decider.com/2016/11/16/cbs-all-access-targeting-4-million-subscribers-by-2020/. NFL Logo. Digital image. Http://i.nflcdn.com/static/content/public/static/img/share/shield.jpg. N.p., n.d. Web. 29 Nov. 2016. Republican and Democratic Party Symbols. Digital image. Https://thebrandbuilder.files.wordpress.com/2008/09/logo-politics1.jpg. N.p., n.d. Web. 29 Nov. 2016. 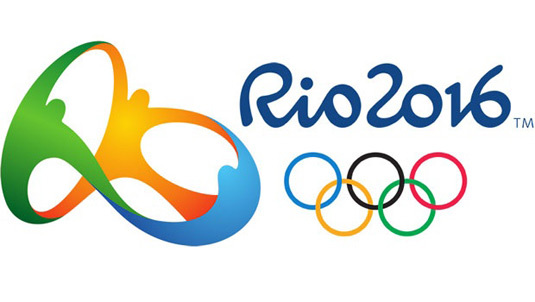 2015 Rio Olympics Logo. Digital image. Http://cdn.mos.cms.futurecdn.net/8a1813ebb675372564938ce7419479a3.jpg. N.p., n.d. Web. 29 Nov. 2016..
Littleton, Cynthia, and Oriana Schwindt. “Trump-Clinton Second Debate Ratings Fall 21% With 66.5 Million Viewers.” Variety. Variety Media, 10 Oct. 2016. Web. 29 Nov. 2016. Deitsch, Richard. “NBC, CBS to Split Two-year, $450 Mil. Thursday Night Football Package.” Si.com. N.p., 1 Feb. 2016. Web. 28 Nov. 2016. The Big Bang Theory Title Card. Digital image. Http://basementrejects.com/wp-content/uploads/2012/09/big-bang-theory-season-5-title-card.jpg. N.p., n.d. Web. 30 Nov. 2016. Porter, Rick. “‘Big Bang Theory,’ ‘Empire’ and Football Lead Week 9: Broadcast Top 25 and Network Rankings.” TV By The Numbers by Zap2it.com. Tribune Media Company, 22 Nov. 2016. Web. 29 Nov. 2016. / Porter, Rick. “Syndicated TV Ratings: ‘Ellen’ Ties ‘Live with Kelly’ in the Week of Nov. 7-13.” TV By The Numbers by Zap2it.com. Tribune Media Company, 23 Nov. 2016. Web. 29 Nov. 2016. Levin, Gary. “New TV Season Finds Hits (‘Bull,’ ‘Survivor’), but More Misses (‘Exorcist,’ Anyone? ).” USA Today. Gannett Satellite Information Network, 26 Oct. 2016. Web. 29 Nov. 2016. Andreeva, Nellie. “‘The Big Bang Theory’ Eyes Young Sheldon Spinoff Prequel Series On CBS.” Deadline. Penske Business Media, 07 Nov. 2016. Web. 29 Nov. 2016. “2016-17 Season Ratings for New TV Shows (week 9) – Canceled TV Shows – TV Series Finale.” Canceled TV Shows – TV Series Finale. TV Series Finale, 22 Nov. 2016. Web. 29 Nov. 2016. Kevin Can Wait Promo Card. Digital image. Http://thumbnails.cbsig.net/CBS_Production_Entertainment_VMS/2016/05/18/688093763801/UFKEVINJAMES_PRES_CLEARED_2WEEKS_C430_HR01_ProRes422_P_878941_640x360.jpg. CBS, n.d. Web. 29 Nov. 2016. CBS All Access Promo Card. Digital image. Http://trekcore.com/blog/wp-content/uploads/2016/01/cbs-aa-header.jpg. N.p., n.d. Web. 29 Nov. 2016. “CBS Launches Commercial-Free Streaming Option.” The Wall Street Journal. Dow Jones & Company, n.d. Web. 29 Nov. 2016. “CBS ALL ACCESS” ROLLS OUT COMMERCIAL-FREE OPTION FOR SUBSCRIBERS.” CBS Corporation. N.p., n.d. Web. 29 Nov. 2016. “AT&T’s Online Version of DirecTV Said to Launch Without CBS.” Bloomberg.com. Bloomberg, n.d. Web. 29 Nov. 2016. “Viacom and CBS Boards Hire Advisers for Potential Merger.” The Wall Street Journal. Dow Jones & Company, n.d. Web. 29 Nov. 2016. Lee, Edmund. “Here’s What It Would Take for CBS and Viacom to Merge.” Recode. N.p., 28 Sept. 2016. Web. 29 Nov. 2016. Https://www.facebook.com/CNBC. “Shari Redstone Said CBS, Viacom Are Right to Explore Merger.” CNBC. CNBC, 14 Nov. 2016. Web. 29 Nov. 2016. CBS Radio Logo. Digital image. Https://cbskfrog.files.wordpress.com/2012/05/cbs_radio_logo.png. N.p., n.d. Web. 29 Nov. 2016. “After Split, CBS Radio Will Make a Name For Itself.” Insideradio.com. N.p., 12 July 2016. Web. 29 Nov. 2016. In 2012, News Corporation split into two companies. News Corporation kept all the newspaper assets and media assets were put into a new company named 21st Century Fox. 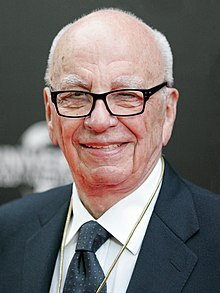 21st Century Fox has holdings in multiple media businesses internationally and in the United States, including broadcast and cable television networks like FOX, FX, Fox News Channel, and National Geographic, which reach over 1.8 billion subscribers. The film company, 20th Century Fox, is one of the Big Six Hollywood Studios that produce and distribute films worldwide. The company had a strong fiscal quarter ending September 30, 2016 with total revenue increasing 7% to $6.51 billion and a net income increase of 22% to $821 million. A significant portion of that boost came from the Cable Network Programming division. The Fox News Channel experienced significant growth, despite the Roger Ailes scandal in the beginning of the quarter, in which former anchor Gretchen Carlson sued Ailes for sexual harassment. 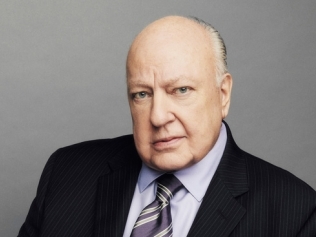 Fox settled the lawsuit, which incited controversy throughout the company, and Ailes resigned. During the lawsuit, Fox faced great controversy and criticism, which increased when Ailes left the company with a $40 million exit agreement. As the television industry and television consumption transforms, 21st Century Fox’s goal is to become a central player in the new digital age. Fox Networks Group recently made a deal with AT&T Inc. and its DirecTV subsidiary. DirectTV launched a streaming service called DirecTV Now that allows viewers to stream their programming instead of watching it via satellite transmission. Fox News, Fox Business, FX and many more Fox networks will be available on AT&T’s live streaming service in addition to the content offered to DirecTV subscribers. Fox has also made a licensing deal with Hulu to carry Fox channels on the new over-the-top (OTT) live TV subscription service Hulu will soon release. The deal includes the FOX broadcast network along with the Fox Sports channels, National Geographic and more. This past quarter Fox Networks Group saw a huge increase of ratings with not only the presidential election and Fox News, but also the FOX network as a result of their rights to the World Series. Huge interest in this year’s presidential election saw primetime coverage reach a total of 71 million viewers, and Fox News channel’s 12.2 million viewers beat out CNN’s 11.2 million views for the most viewers of any cable channel for the 7pm-3am time slot, leaning toward a generally conservative audience. When the election results announced Donald Trump as president elect, Fox News Channel maintained over 10 million viewers. The film is not yet released, but the hype surrounding the film shows that Fox is not afraid to take risks, and presents the company as more forward thinking. Overall, 21st Century Fox is well poised for continued growth in revenue and income going forward. Strong licensing revenue to emerging and existing OTT providers as well as traditional networks and broadcasters is expected to continue and a strong pipeline of franchise tentpole films over the next three to five years should ensure continued financial success of the film studio. The introduction of new leadership at the studio and Fox News will ensure continued growth and success at these important divisions of the company. Lang, Brent. November 2, 2016. Variety. 21st Century Fox Earnings Get Lift From Fox News, ‘Deadpool’ Home Entertainment Debut. 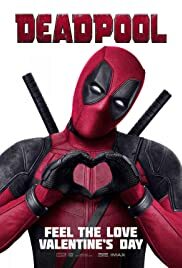 Retrieved November 29, 2016. http://variety.com/2016/film/news/21st-century-fox-earnings-get-lift-from-fox-news-deadpool-home-entertainment-debut-1201907353/. The biggest question for Cumulus is how to combat the growing online streaming music services and the consolidation of radio amidst their staggering debt and turnover struggles. 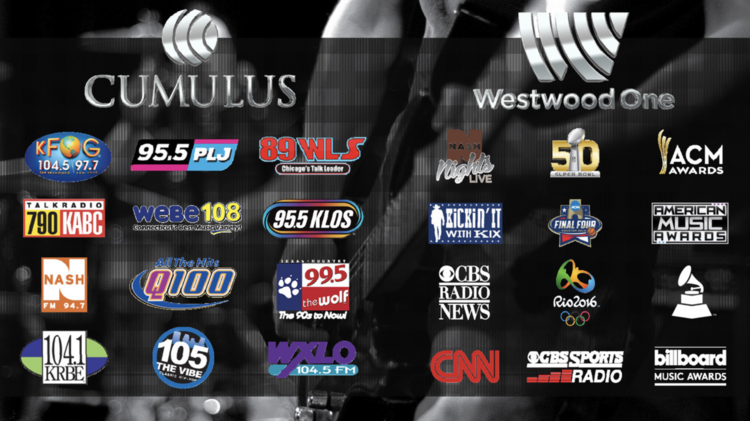 Cumulus must continue to cut spending and manage to find a solution that will boost revenue through services that can compete as opposed to services that tail behind the forefront of the changing world of radio. In terms of debt handling, the company has until May of 2019 to pay it off which should hopefully be enough time for Berner to stabilize the company. Cumulus Website. Retrieved: November 28, 2016. Jackson, Hazel. “Market Rating: Are Analysts Bullish Cumulus Media Inc (NASDAQ:CMLS) After Last Week?” Money Making Articles Hot Stuff. Retrieved: November 21, 2016. NASH Website. Retrieved: November 28, 2016. Cumulus Key Executives. Retrieved: November 28, 2016. “Big Challenges Remain For Radio’s Number Two.” Radio Ink. Streamline Publishing, Inc. Retrieved: November 28, 2016. Ho, Rodney. “Cumulus Media Drowning in Debt, Stock Slides.” Radio and TV Talk. Cox Media Group. Retrieved: November 29, 2016. Grantham, Russell. “Cumulus Media Hit by Debt, Radio Industry Troubles.” Cumulus Media Hit by Debt, Radio Industry Troubles. Cox Media Group. Retrieved: November 29, 2016. Karp, Hannah. “Cumulus CEO Aims to Revive Radio Broadcaster.” The Wall Street Journal. Dow Jones & Company. Retrieved: November 29, 2016. Sege, Adam. “Cumulus Hit With Antitrust Suit Over Advertising Payouts.” Law360. Portfolio Media, Inc. Retrieved: November 29, 2016. Koenig, Bryan. “Cumulus Media Gets Advertising Antitrust Suit Gutted.” Law360. Portfolio Media Inc. Retrieved: November 29, 2016. Oliveira, Michael Wiggins De. “Cumulus Media: A Highly Speculative Equity Stub.” Seeking Alpha. Retrieved: November 30, 2016. Weakley, Vanessa. “Looking at the Gauges on Cumulus Media Inc. (CMLS).” Microcap. Retrieved: November 30, 2016. Atkinson, Claire. “Cumulus Media’s New CEO Can’t Stop Company Slide.” NYPost. Retrieved: November 30, 2016. “Struggling Cumulus Media Loses its CFO” American City Business Journal. Retrieved: November 30, 2016. “Organizational Leadership Changes at Cumulus Media” MusicRow. Retrieved: November 30, 2016. Grantham, Russell. “Radio Giant Cumulus Tumbles After Flying High”. Cox Media Group. Retrieved: November 29, 2016.